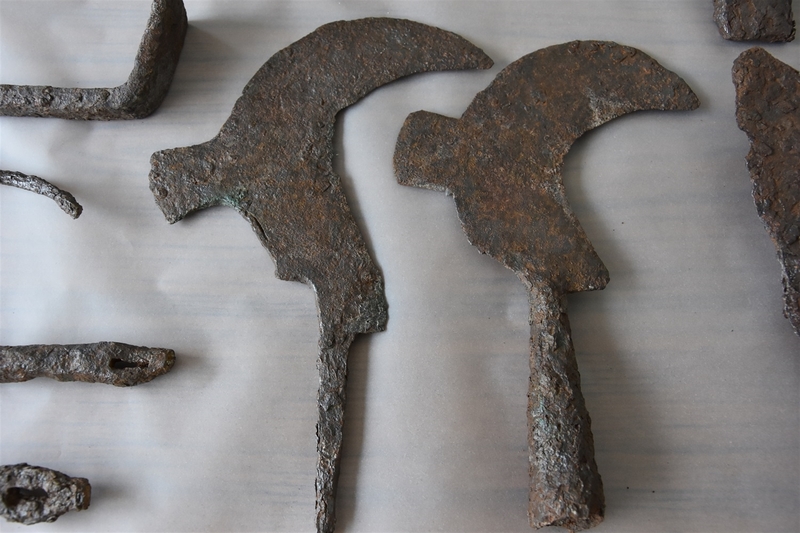 A set of 1,500-year-old agricultural and carpentry tools have been discovered in the ancient Green city of Alexandria Troas on the Aegean coast of northwestern Turkey. The cache was discovered by accident by a farmer. 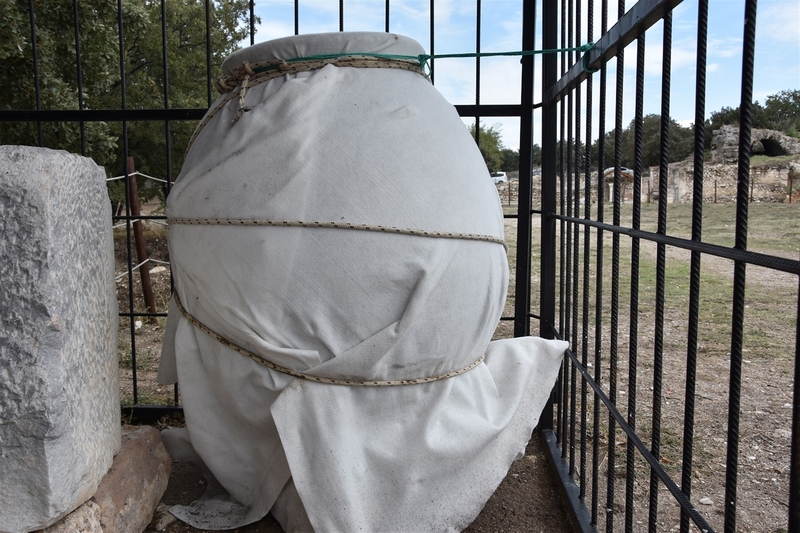 He found earthenware pithos, a massive storage vessel, dating to the 5th-6th century A.D., in a field he owns that includes part of the ancient city wall. A pithos alone would have been an exciting artifact. 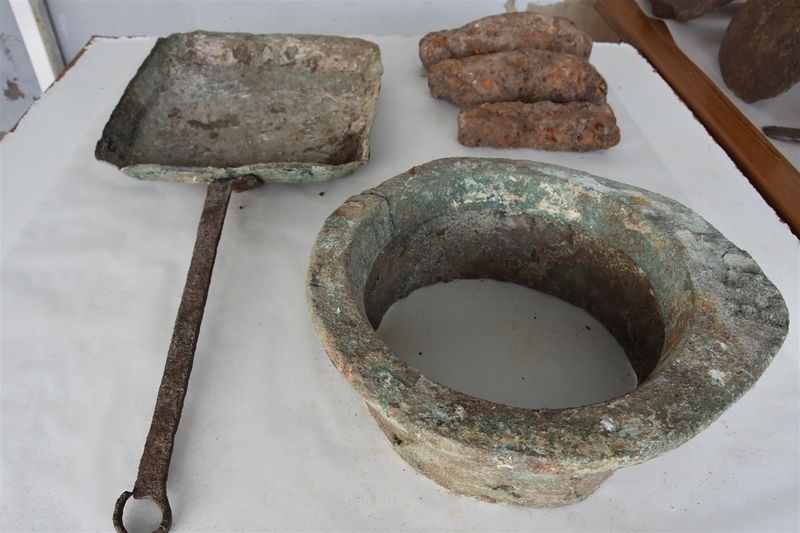 It proved to be geometrically more exciting when it was found to contain iron and bronze tools used for agriculture, carpentry and the making of other tools. 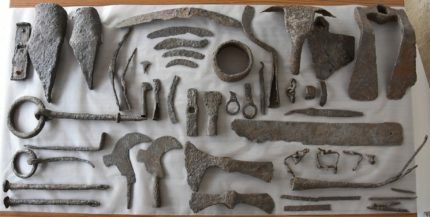 The objects include sickles, soil scrapers, weed cutters, soil tampers, plows, long nails, and hand tools like saws, grinders, drills and spatula scrapers. The tools date to the late Roman, early Byzantine era, the 5th century A.D., and were stored in the pithos for centuries. Founded around 306 B.C. as Antigonia Troas, the city was renamed after Alexander of Macedon in 301 B.C. and rose to become a prosperous port town under the Roman Republic and Empire. It had a population of around 100,000 at its peak and was a major port for trade and transportation between Asia Minor and Europe. Paul of Tarsus used it as a departure and arrival point on his travels to Europe and back. Its importance faded under the Byzantine Empire as the harbour silted up, but it was significant enough to remain the see of a bishopric until its abandonment some time in the Middle Ages. 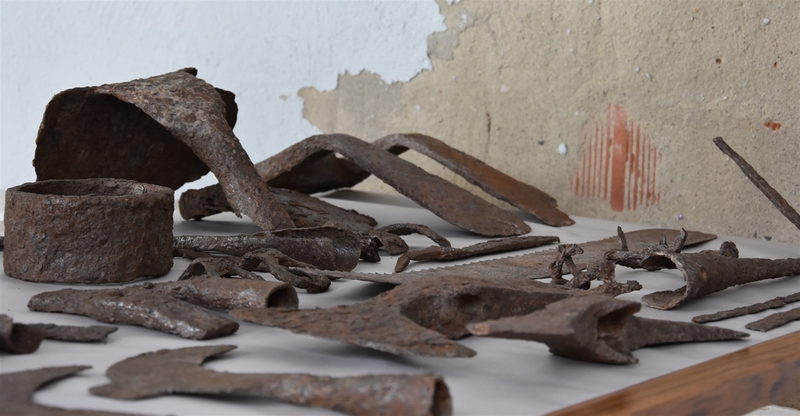 [Ankara University archaeology professor and excavation leader Dr. Erhan] Oztepe said it is the most interesting finding of 2018. 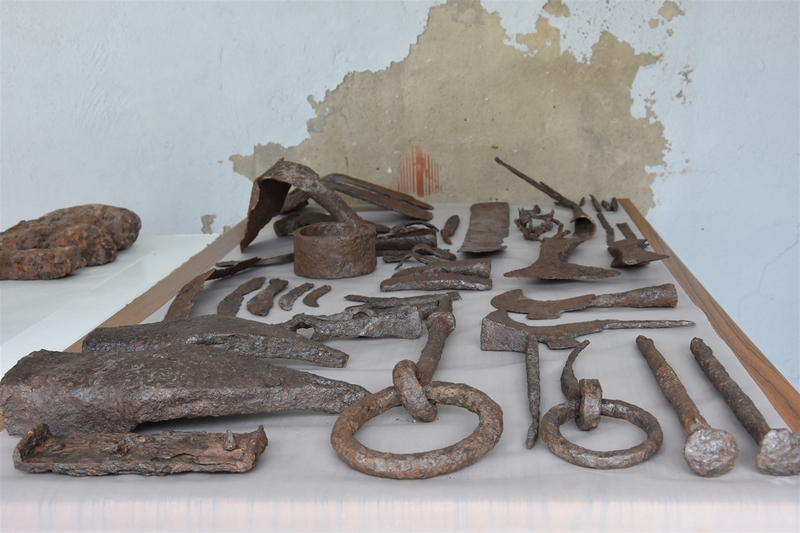 “Iron and Bronze [Age] agricultural and carpentry tools show us the economy of the ancient city and farming activities in the Alexandria Troas and nearby regions of the Early Byzantine period,” he said. 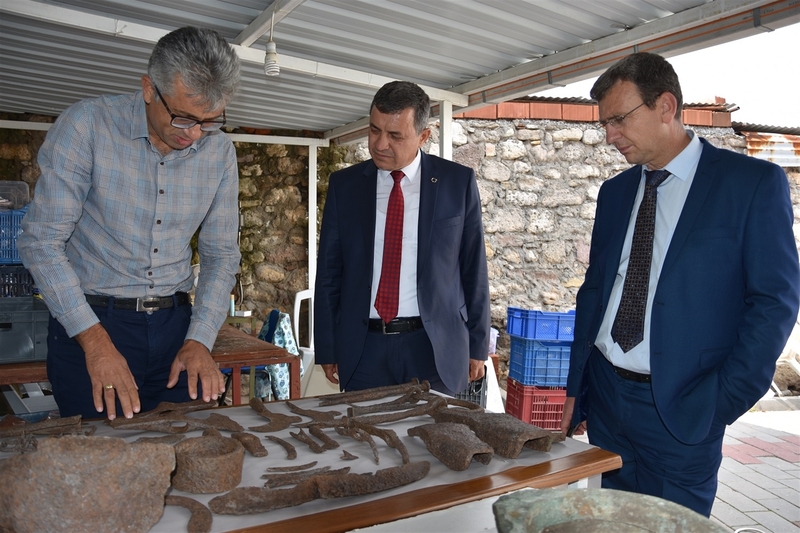 Kemal Dokuz, the head of Provincial Directorate of Culture and Tourism, highlighted the importance of the ancient site for tourism. “St. 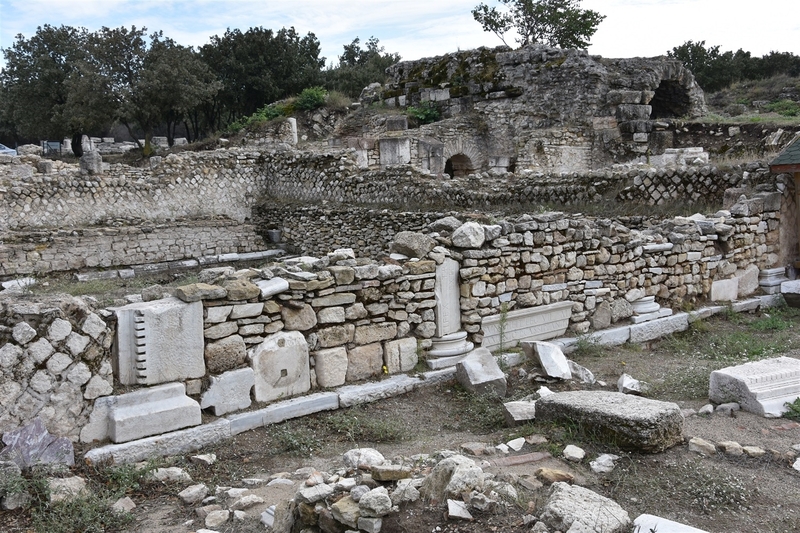 Paul stayed in this city and this place is as important as Ephesus to the Christian world. The Ministry of Culture and Tourism has spent $1 million [$170,165] on Alexandria Troas excavations within the last 5 years,” he added. This entry was posted on Monday, October 15th, 2018 at 11:54 PM	and is filed under Ancient. You can follow any responses to this entry through the RSS 2.0 feed. You can skip to the end and leave a response. Pinging is currently not allowed. Probably were once displayed on someone’s tavern wall, then stored away after a refit and forgotten about. Well, it could have happened like that. The Green Party has been around longer than I thought. Since I know nothing about architectural methods, it’s interesting to me how many different building techniques are shown in the front building in the picture of the city. Some walls are built in a diamond pattern, one foundation wall in the back looks like standard brick laying, and some of the walls look like just haphazard piles of whatever rocks were handy at the time. Does anyone know why they wouldn’t use one uniform method for a whole building? Dear Paddy, within a period of 900 years, a certain workforce and possibly a few earthquakes in between, there might have been a couple of ‘different styles’ and architectural methods, ‘bricklaying’ and all that. Moreover, in addition to the early settlers of ‘Sigeia’ and its ‘re-foundation’ by Antigonos the One-eyed as * ‘Antogonia’ and its re-re-foundation as + ‘Alexandria’, there seems to have been a Roman re re re-foundation and even a Byzantine re re re re-foundation. The Turks, however, much to my surprise, call the place ‘Eski Stambul’ (i.e. ‘Old’ Stambul, i.e. in contrast to the –arguably– “newer” Istanbul, otherwise known as Byzantion, Constantinople etc.) and not ‘Troas Stambul’ or something similar. They were coming from the steppe, so I would not know, if this would really count as proper ‘re re re re re – foundation’ – This part, probably, needs further investigation. 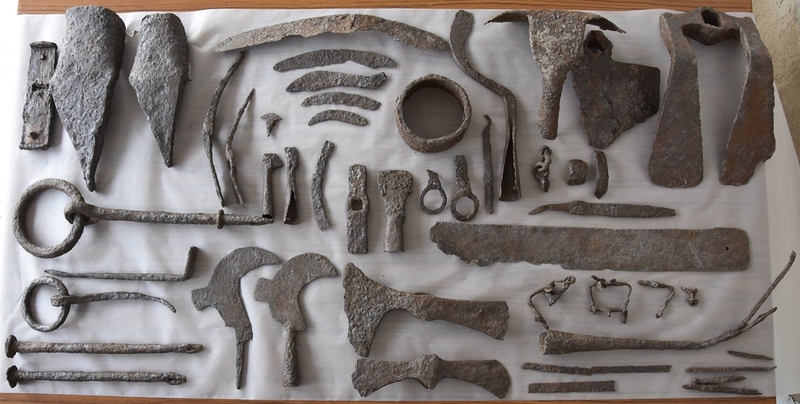 PS – Did I mention that i find those tools exceptionally cool, and I wonder what they were used for? …With some of them it seems quite obvious, but -to myself that is- not with others. (*) Antigon(e)ia/ Αντιγόνεια, not to be confused with e.g. ‘Antigoneia by the Orontes’, Mantineia, Antigoneia in Bithynia, Antigoneia (Chalkidike) … . (+) not to be confused with e.g. ‘Alexandreia ad Caucasum’, the one in Egypt, and roughly 11 other ones. I am a history teacher and it is very nice to work with these images of objects in the classroom. Students are impressed and can see how we have changed throughout history. How we change the way we build objects and tools. Congratulations on the post, very interesting.